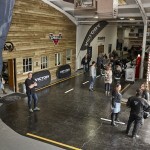 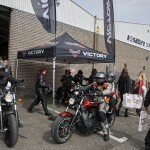 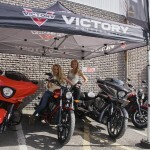 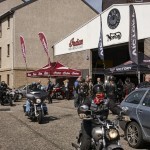 Saltire Motorcycles recently hosted another magnificent event celebrating the opening of their most recent phase of expansion, this time however the Edinburgh based company have created something mind blowingly unique. 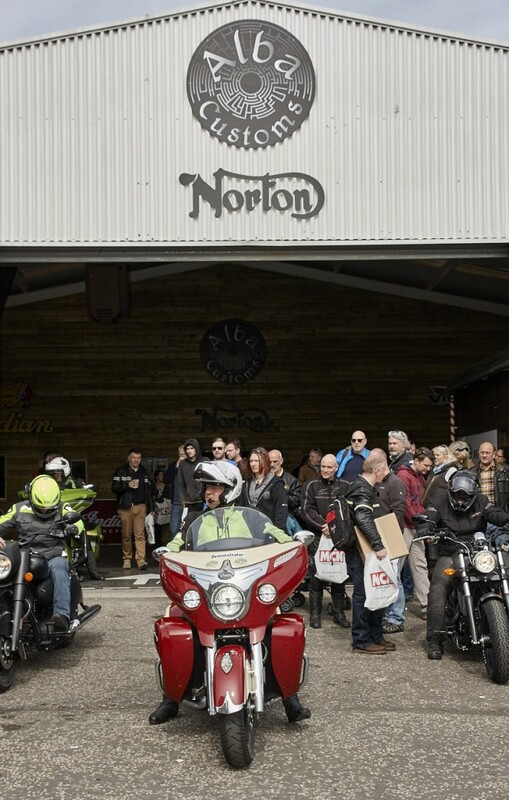 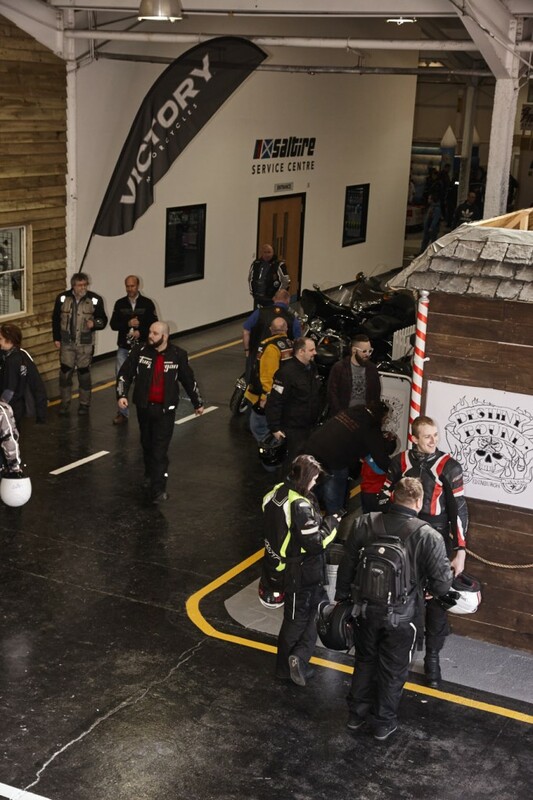 When first hearing the term 'motorcycle village' I wasn’t sure quite what to expect, but look and behold that’s exactly what it is. 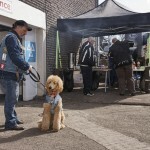 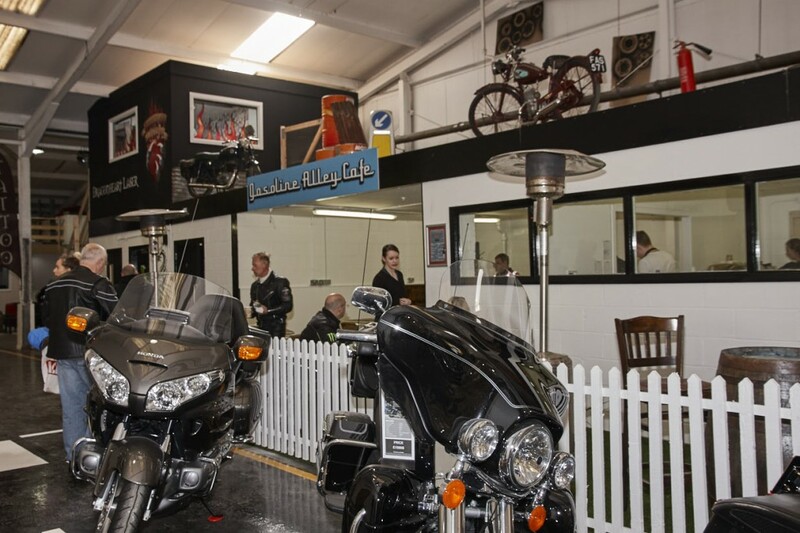 Where else can one find a street lined with shops and facilities for bikers to enjoy, explore or even just hang out? 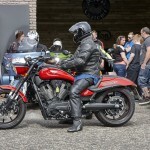 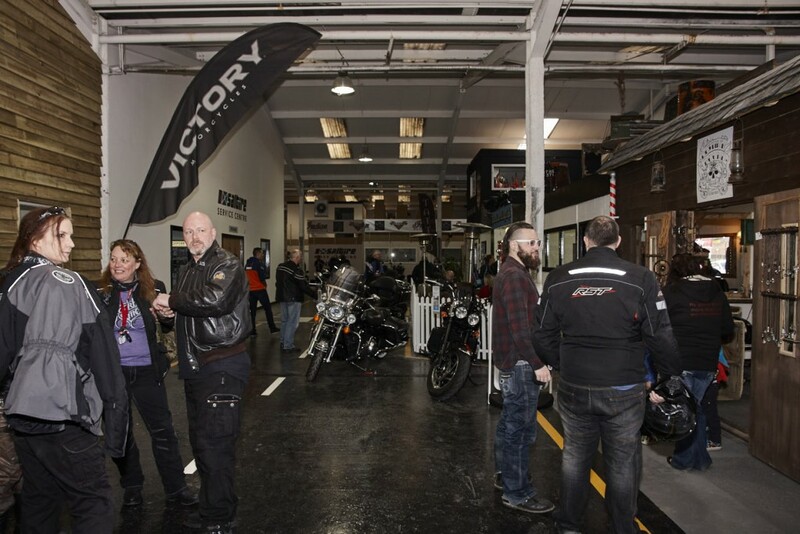 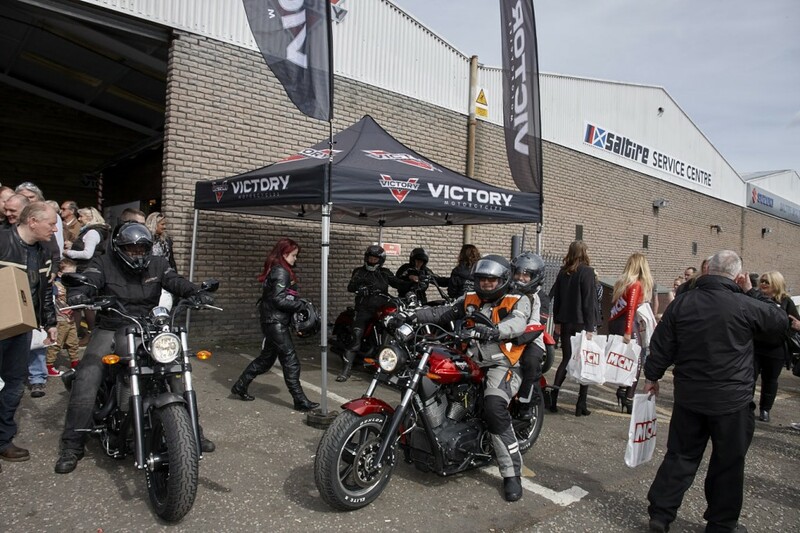 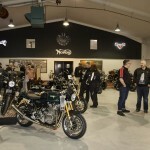 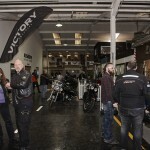 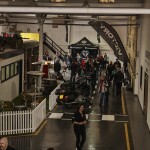 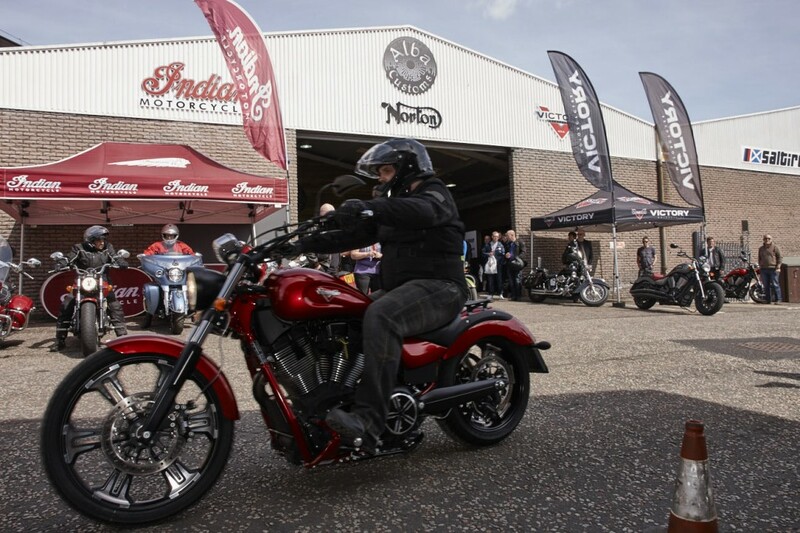 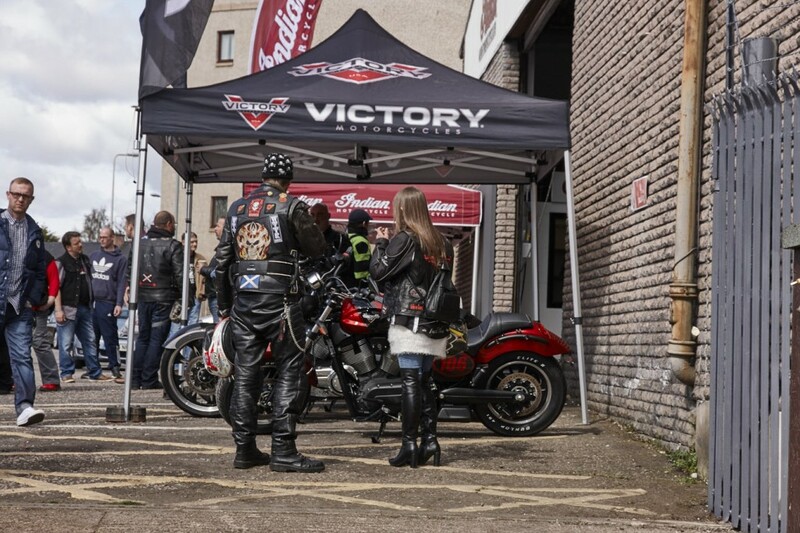 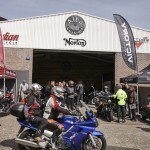 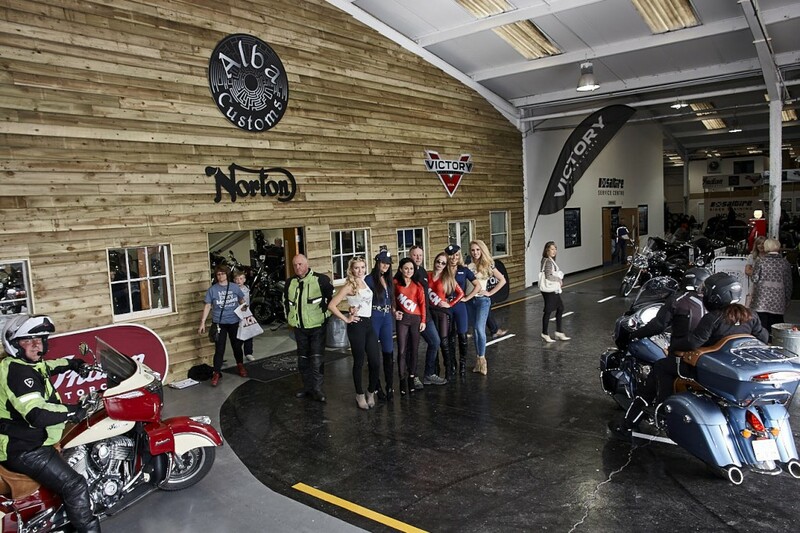 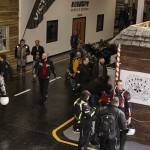 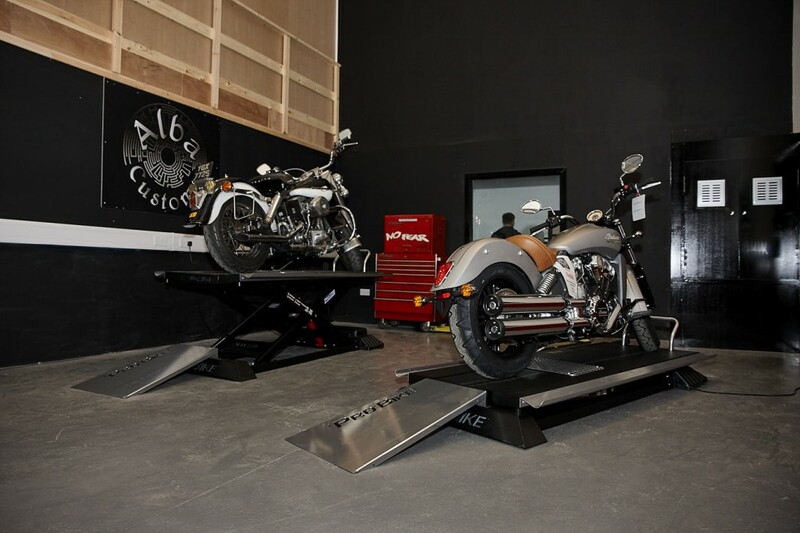 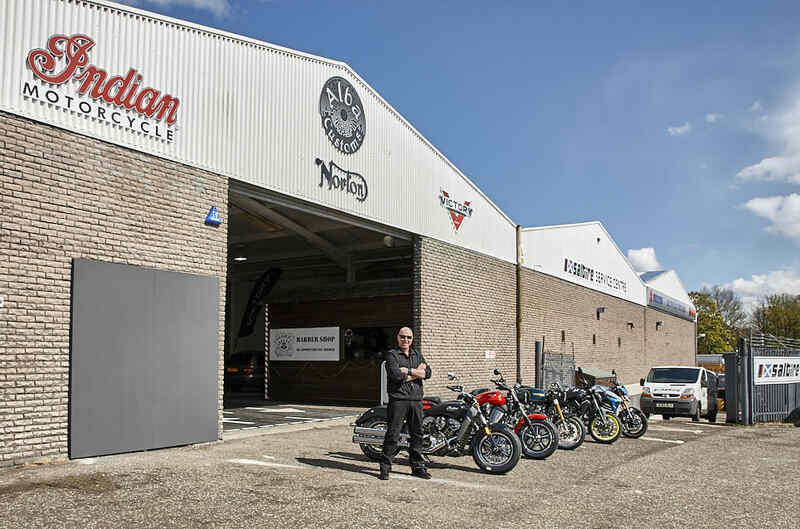 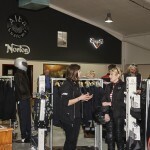 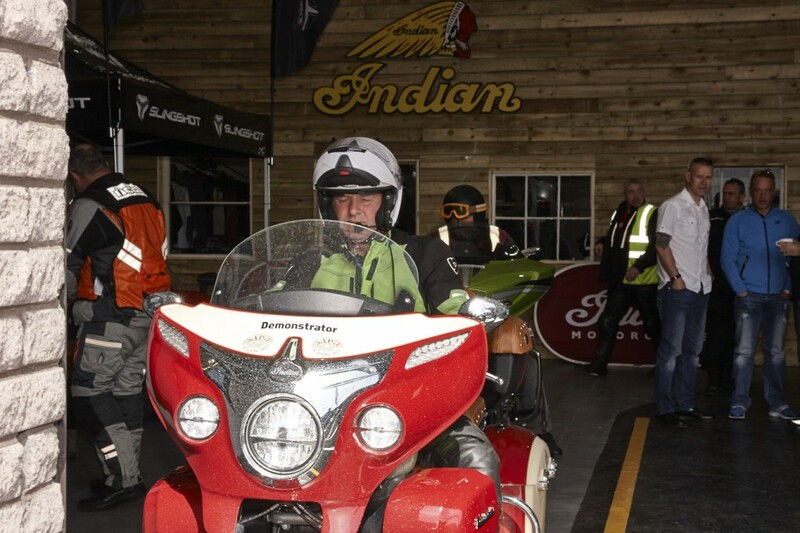 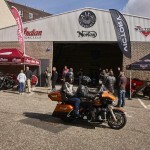 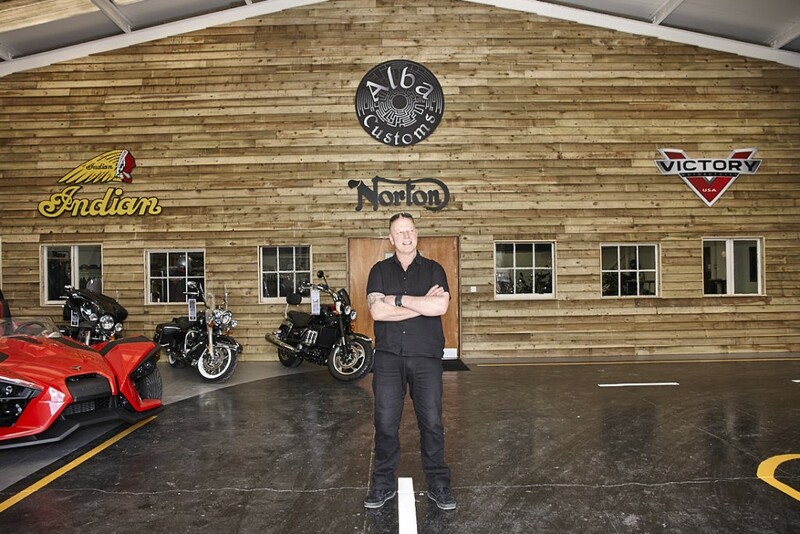 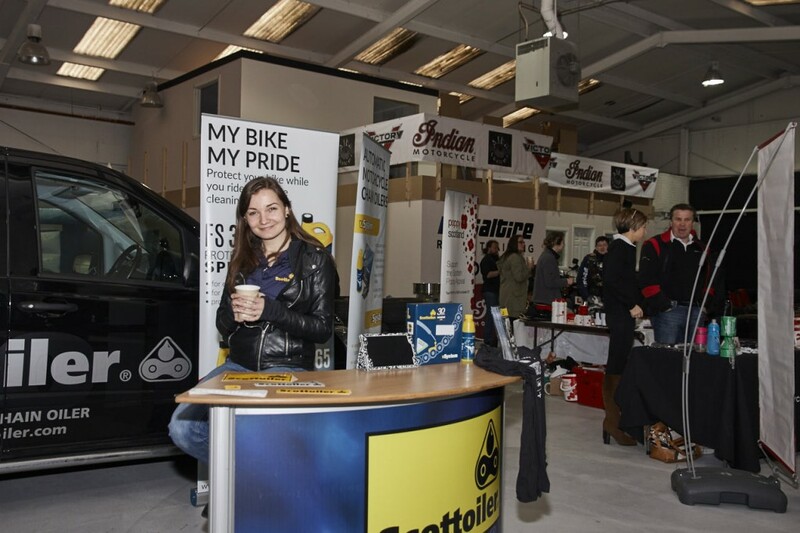 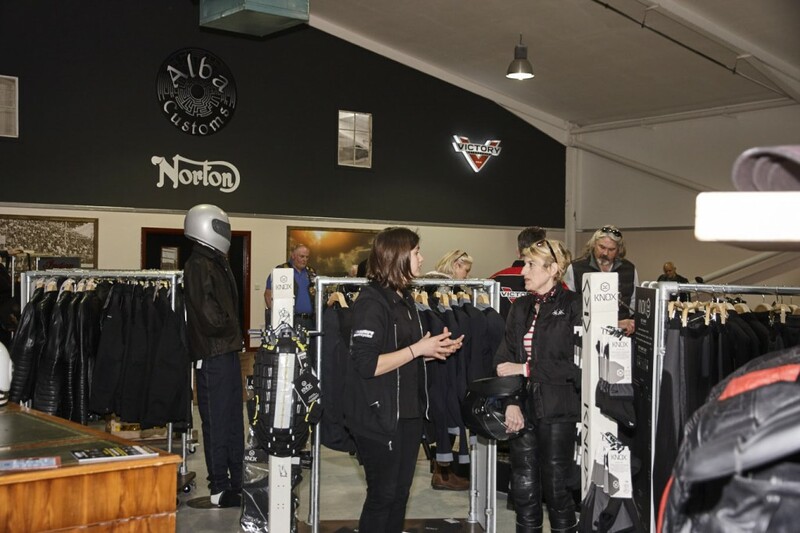 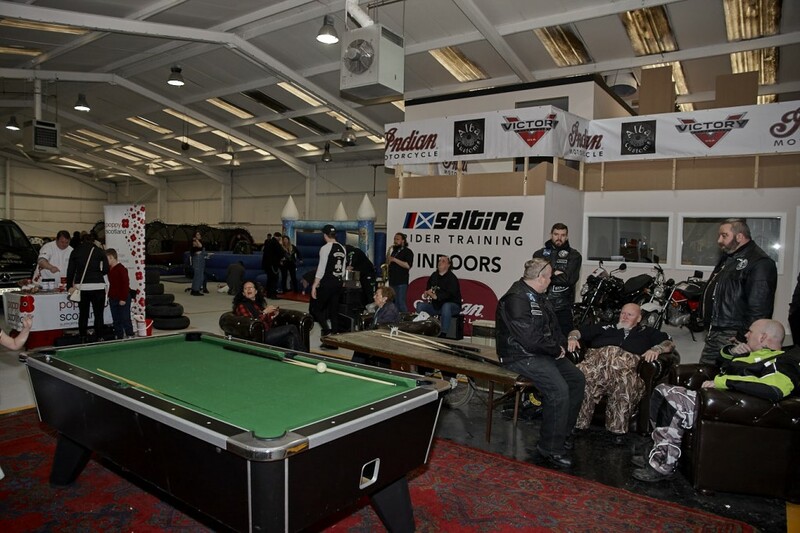 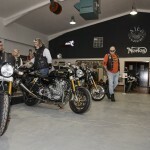 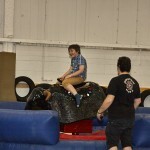 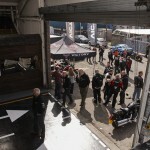 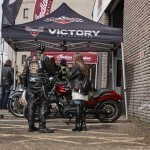 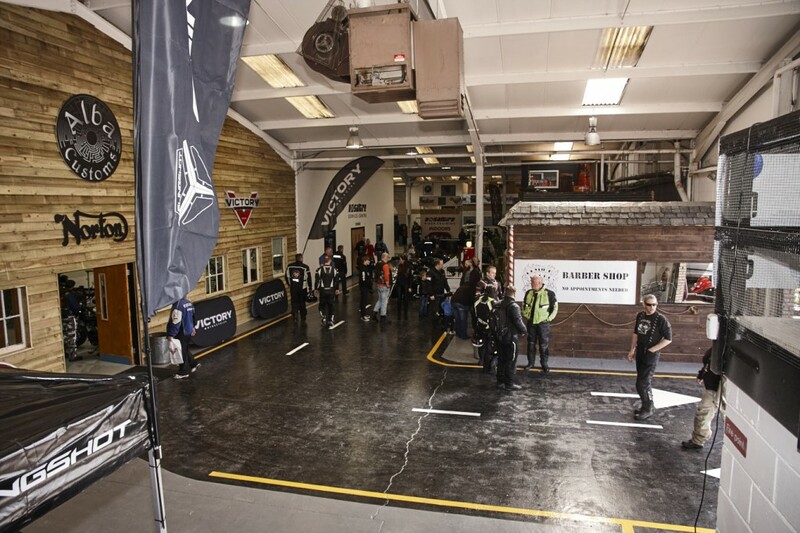 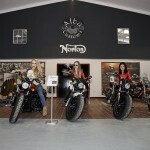 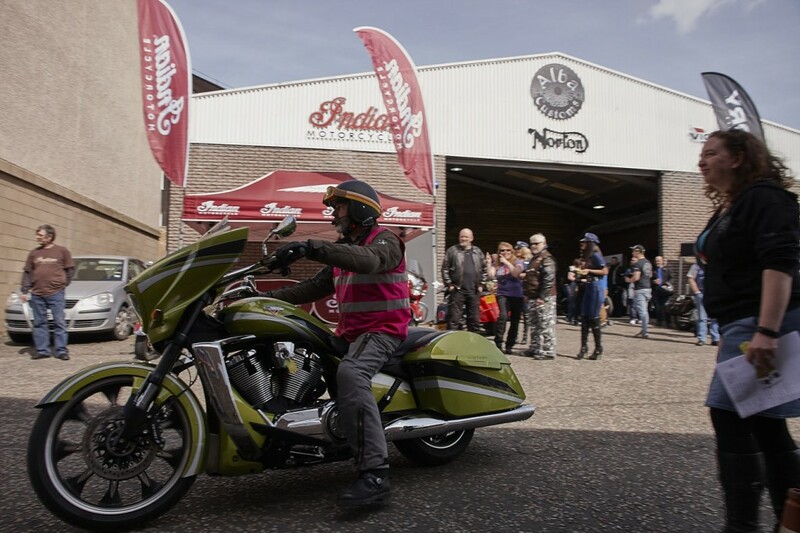 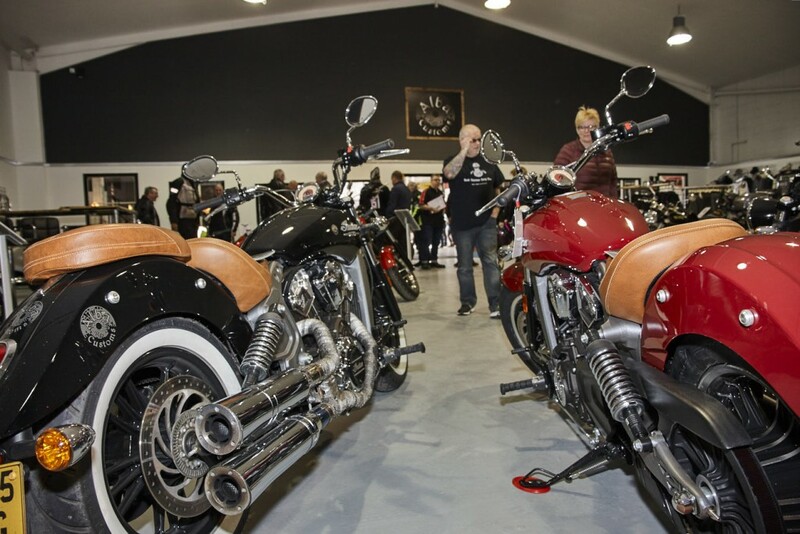 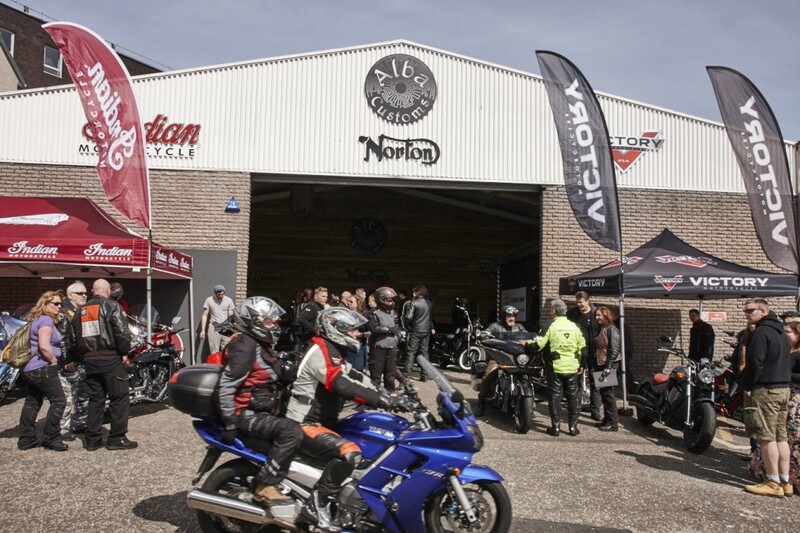 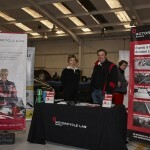 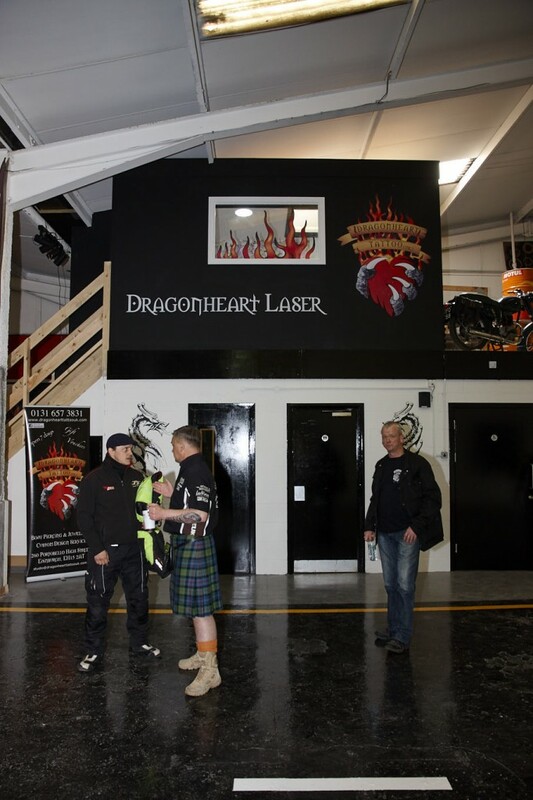 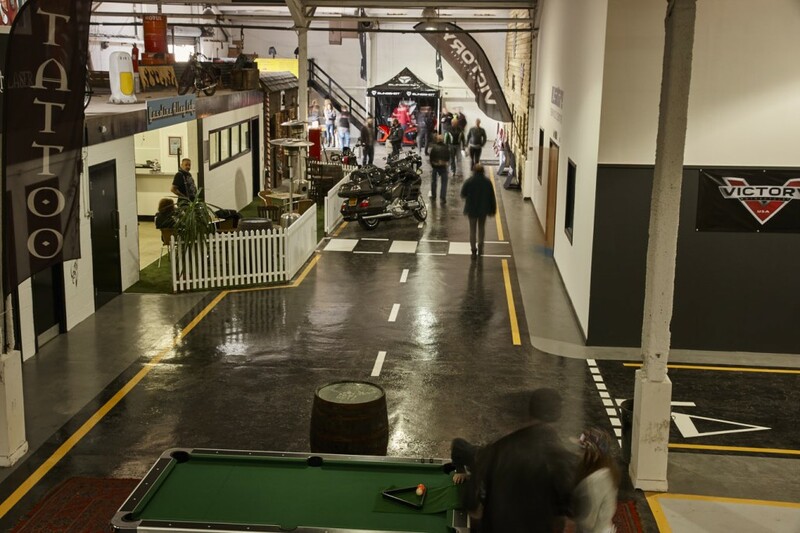 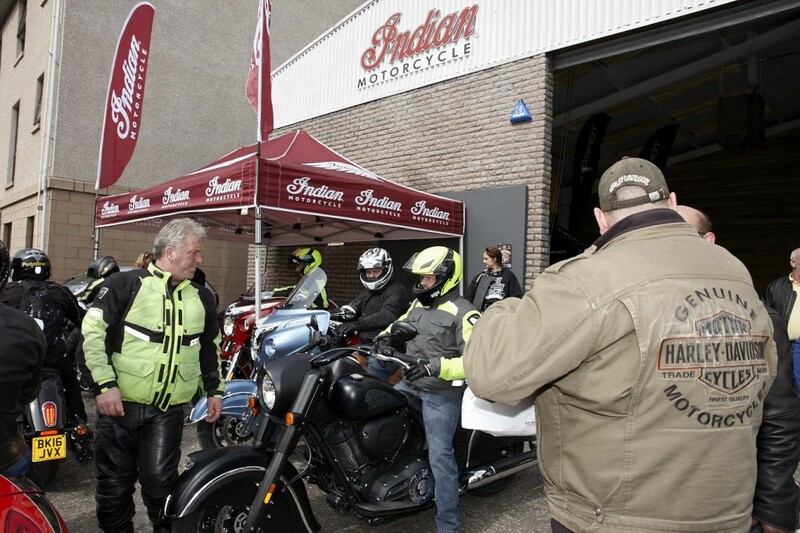 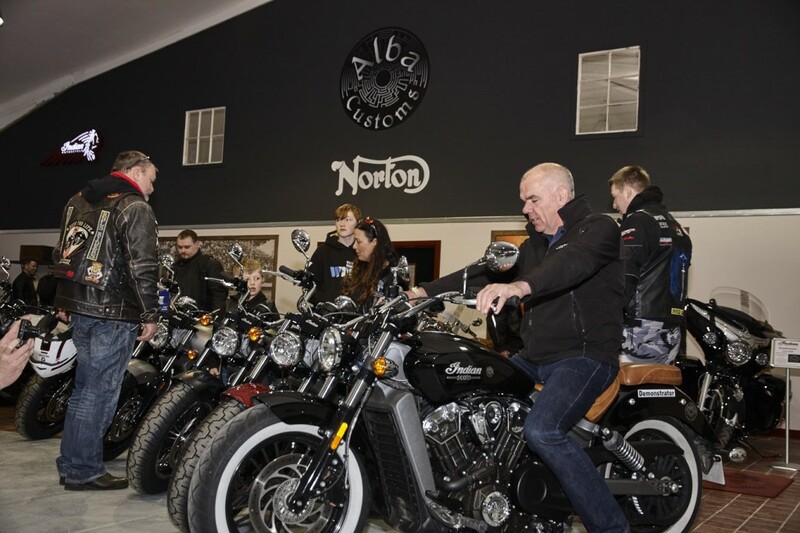 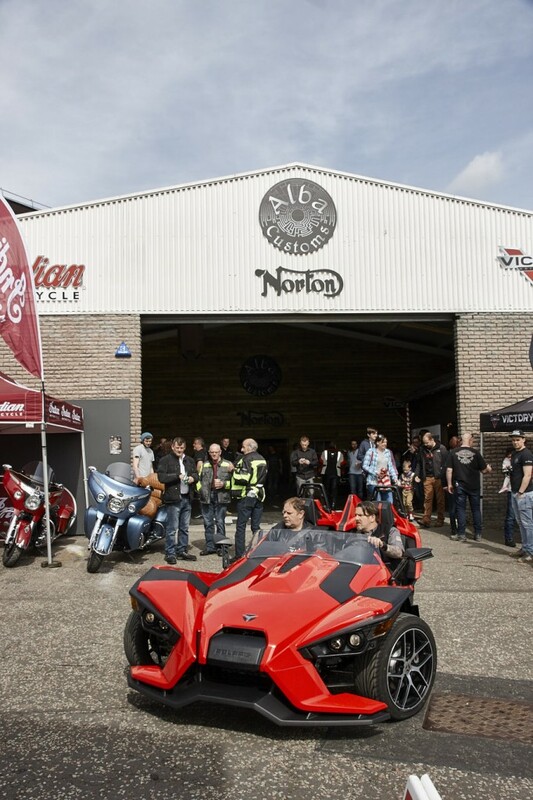 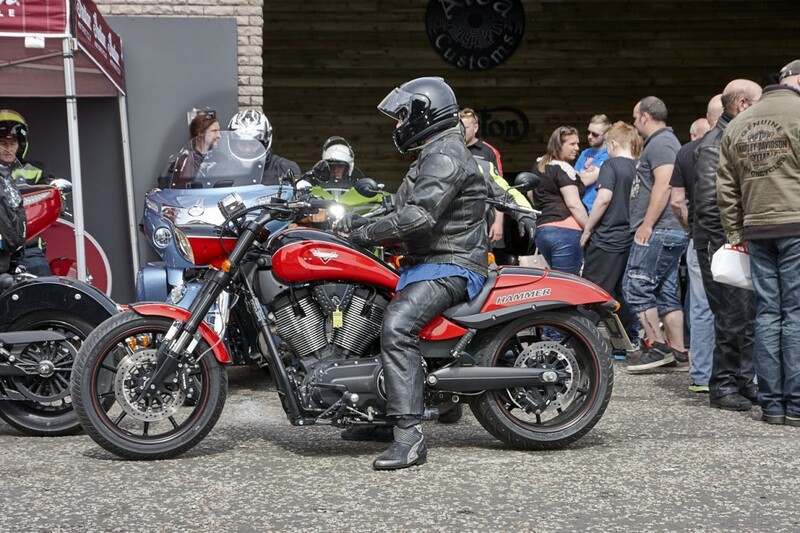 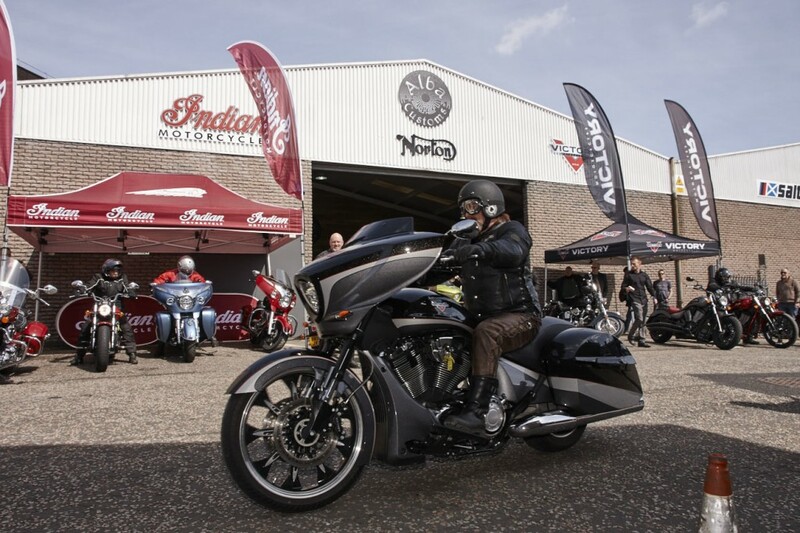 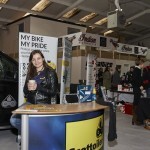 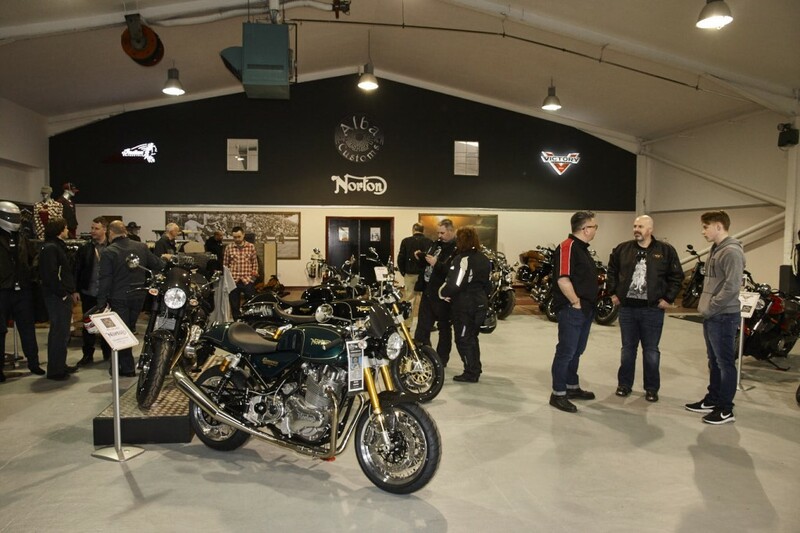 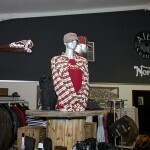 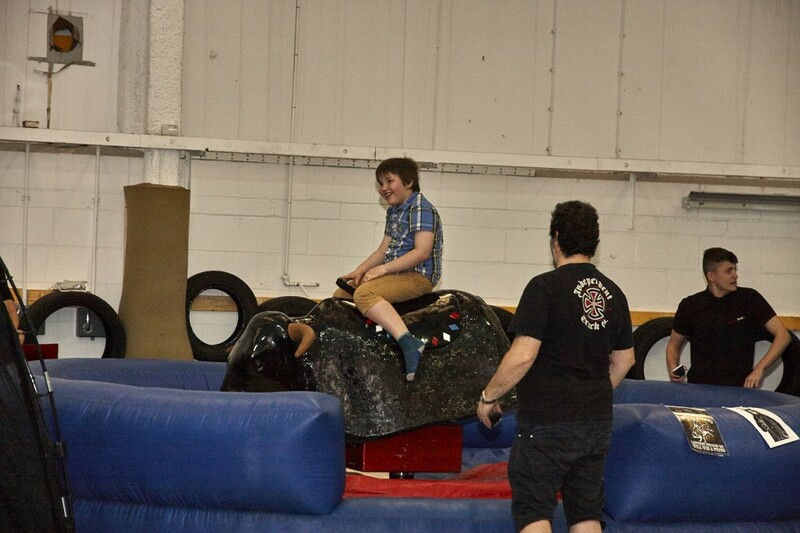 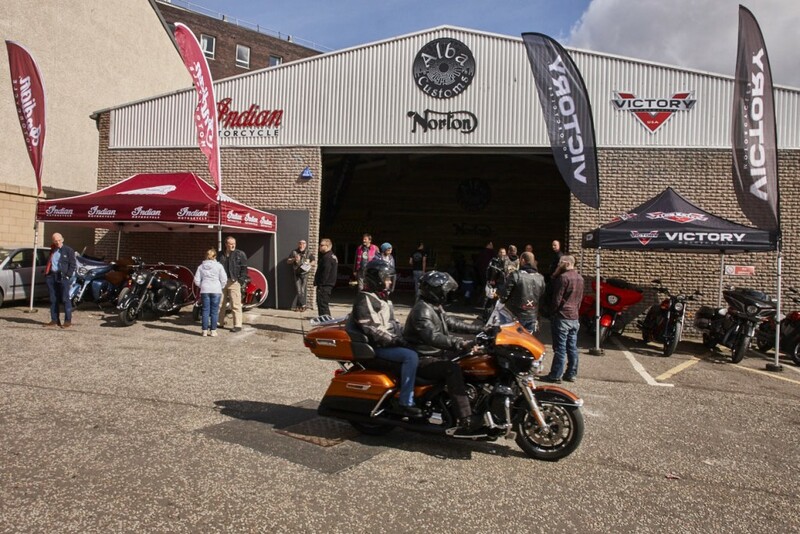 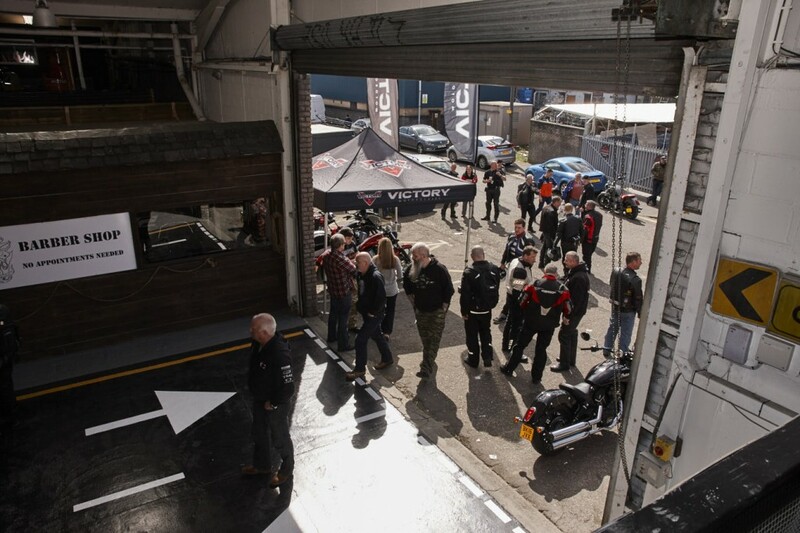 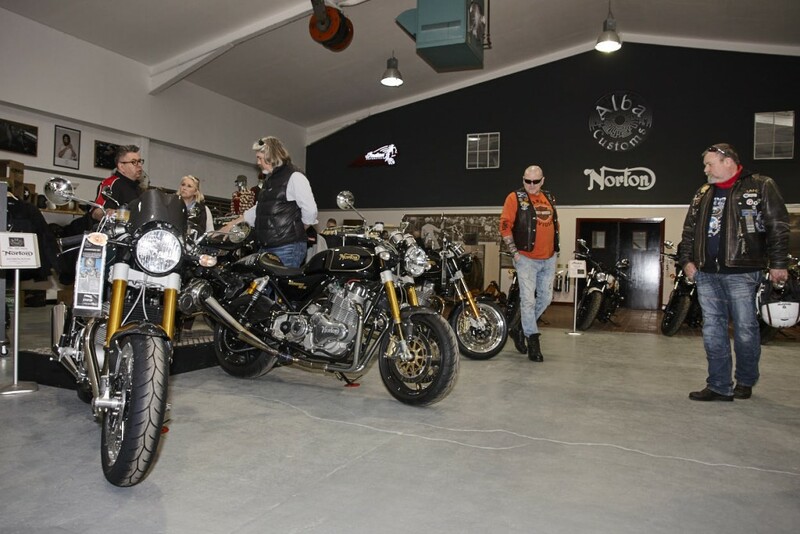 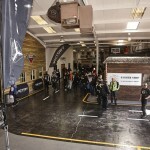 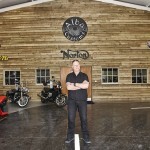 Saltire have truly created a haven for motorcyclists and petrol heads from all walks of life, and it’s all indoors. 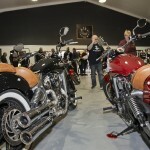 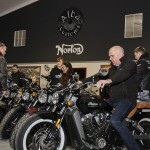 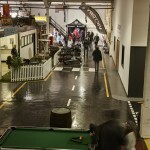 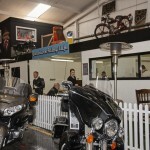 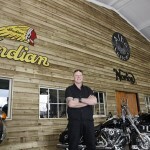 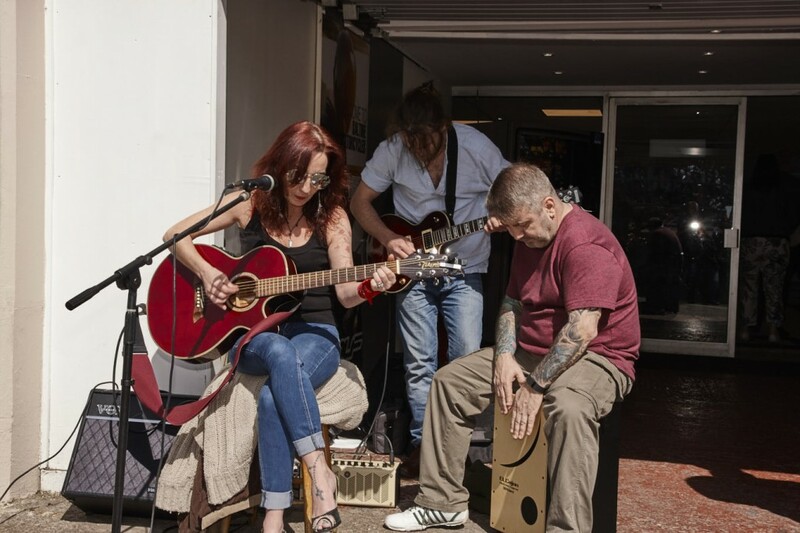 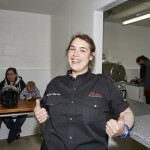 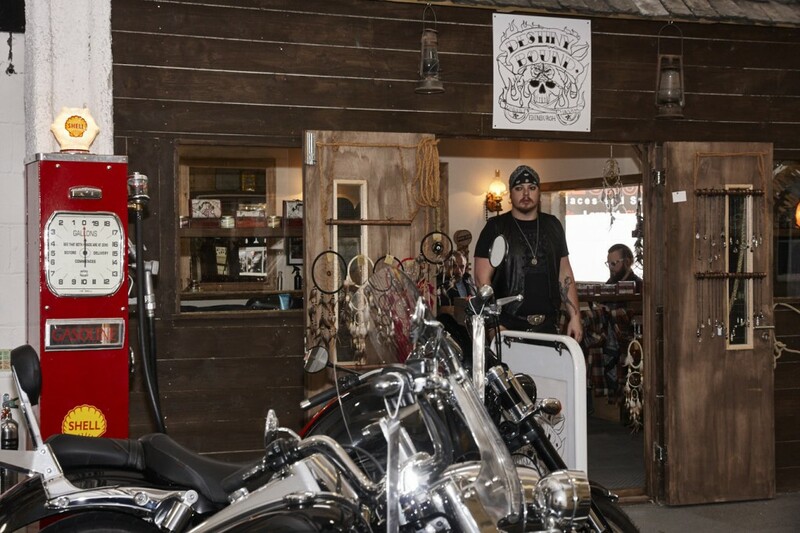 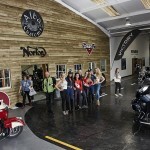 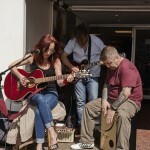 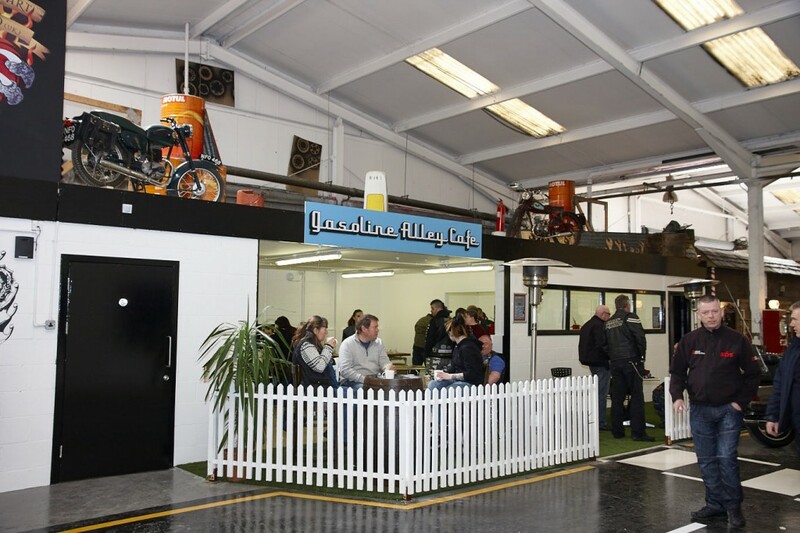 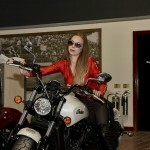 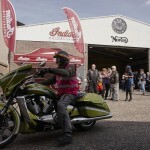 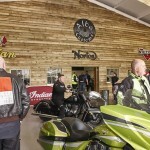 The new facility, which is directly connected to the original Saltire showroom, is host to a number of feature attractions, not least of which being the amazing culinary experience that is the 'Gasoline Alley Café' The café is sandwiched neatly between a tattoo studio and barber shop. 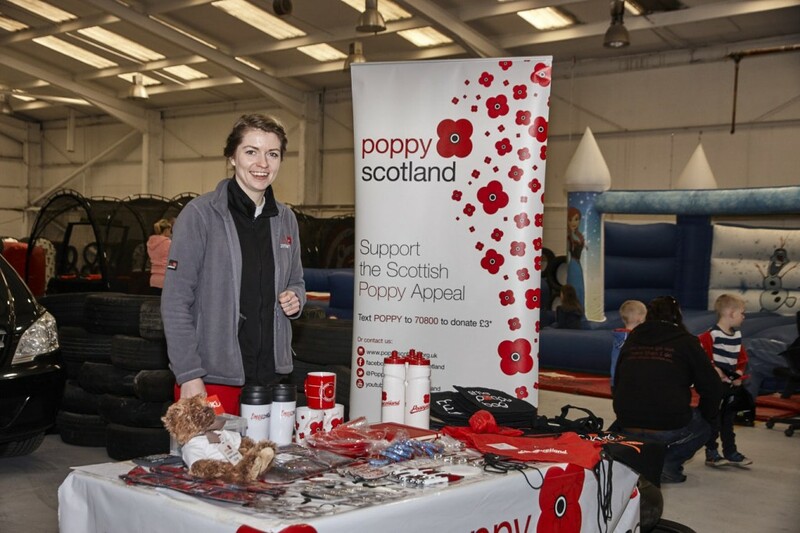 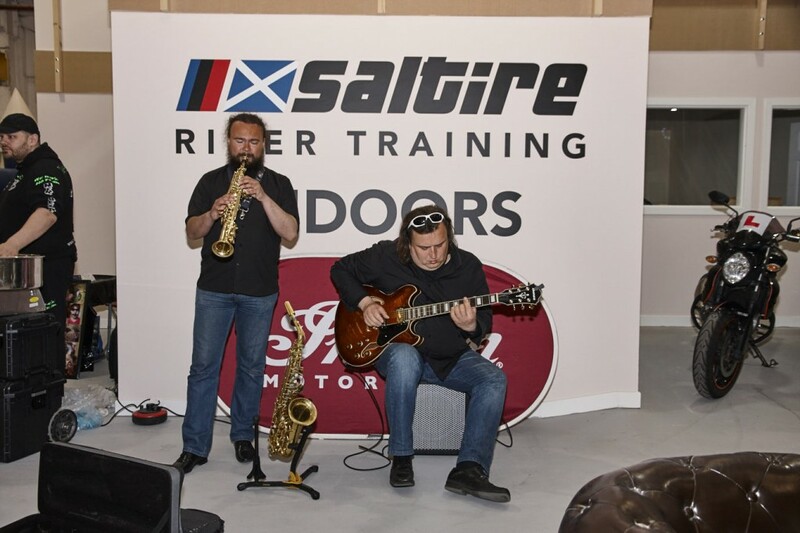 Across the street from the café is the entrance to the new Saltire service centre and a gargantuan workshop that boasts 12 busy work bays, and an MOT station. 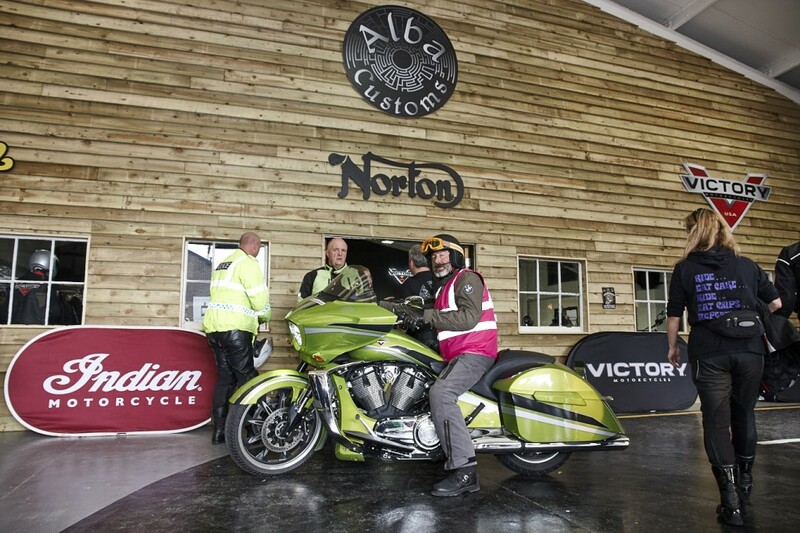 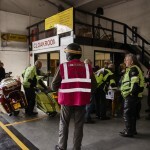 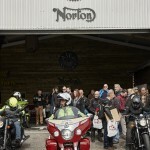 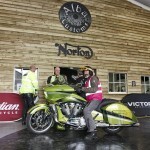 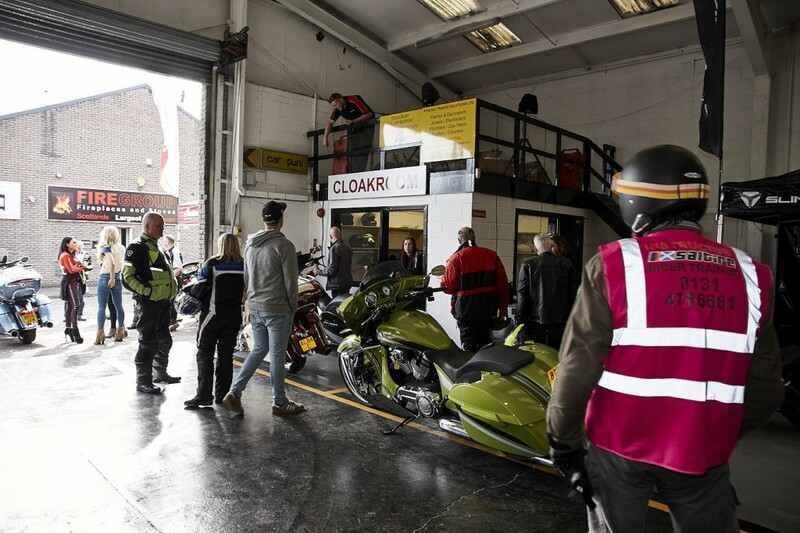 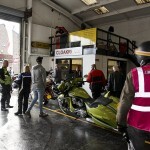 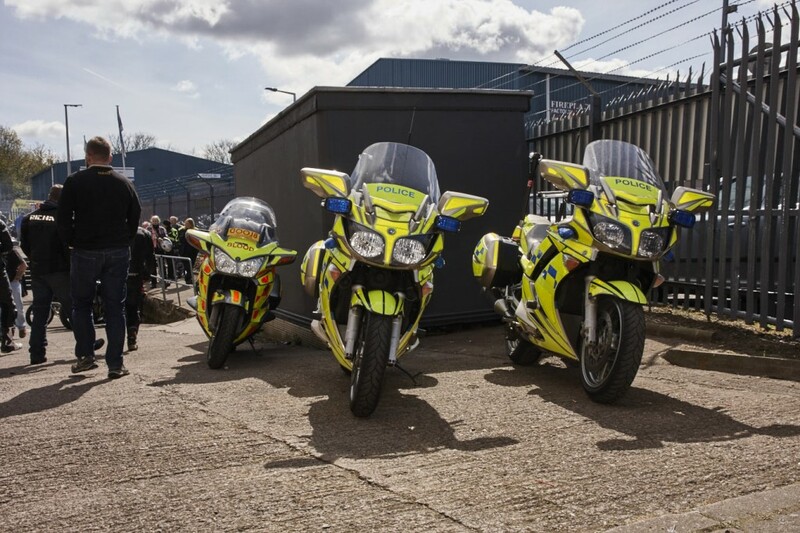 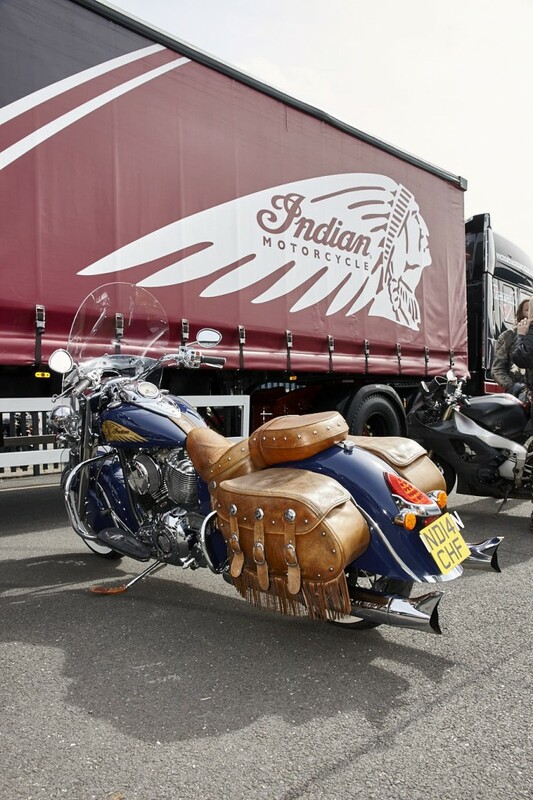 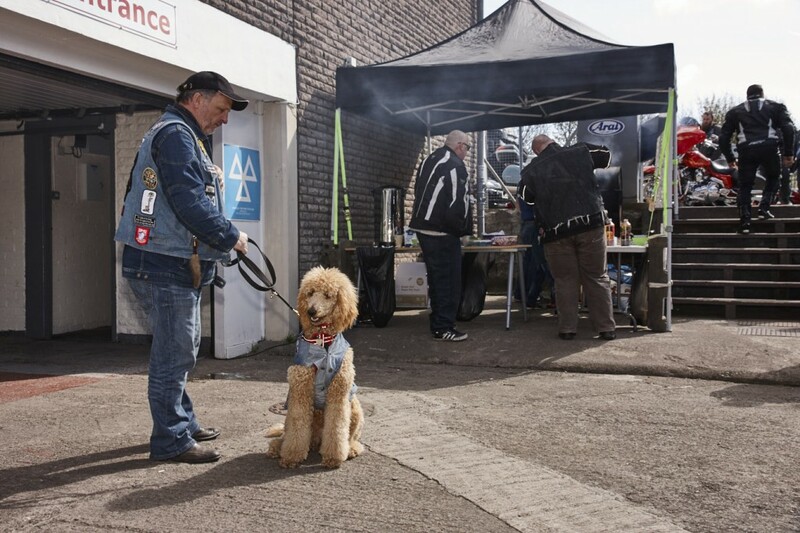 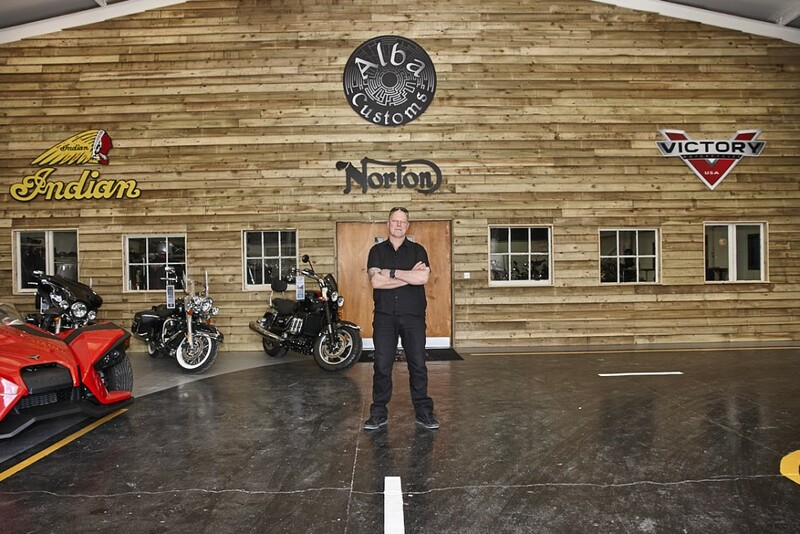 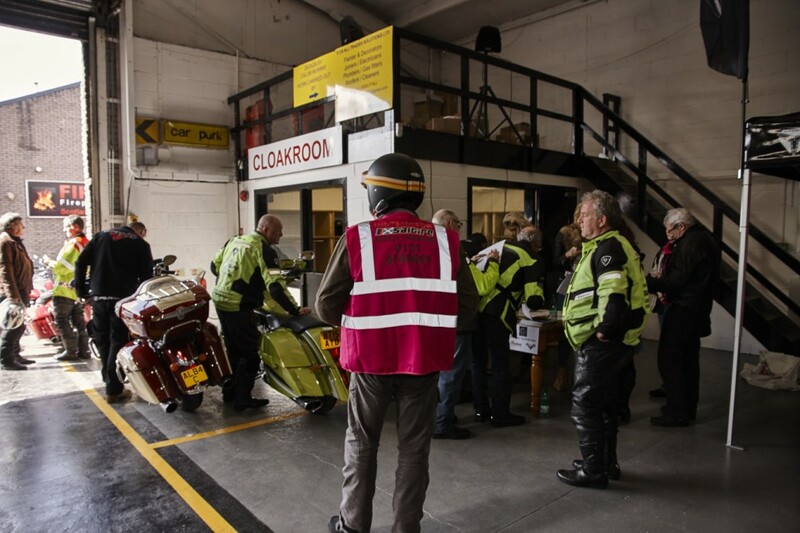 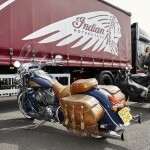 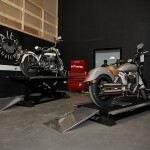 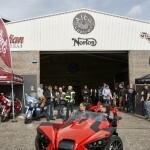 Alongside the service centre is the crowning glory of this motorcycle village 'Alba Customs'. 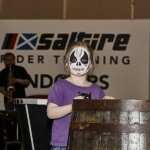 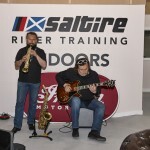 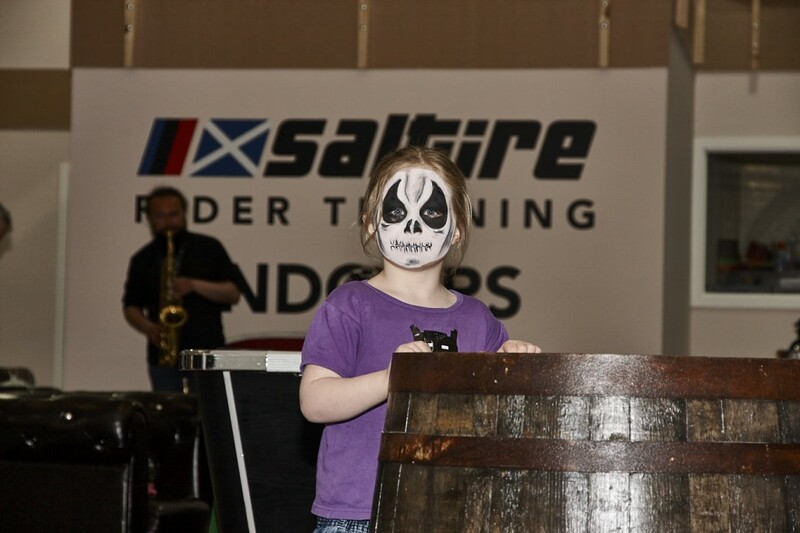 In recognition of the trading style differences that their franchises present, Saltire have created an entirely new store for their secondary brand Alba Customs. 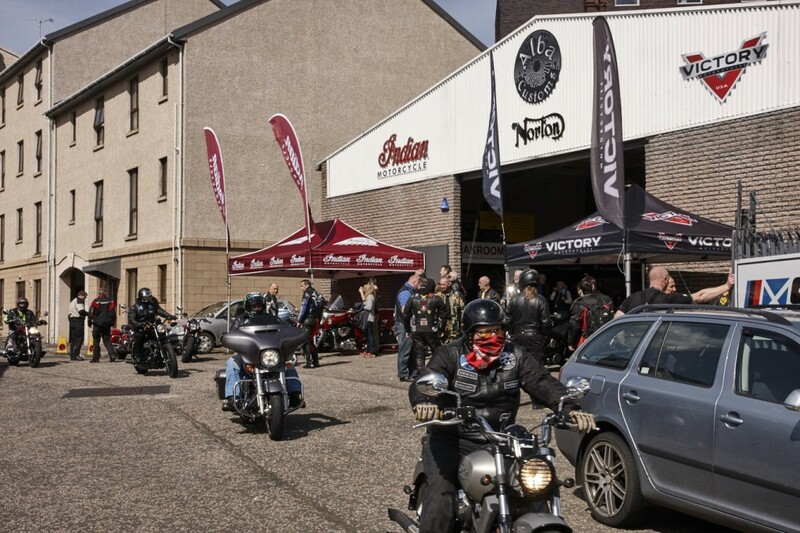 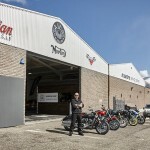 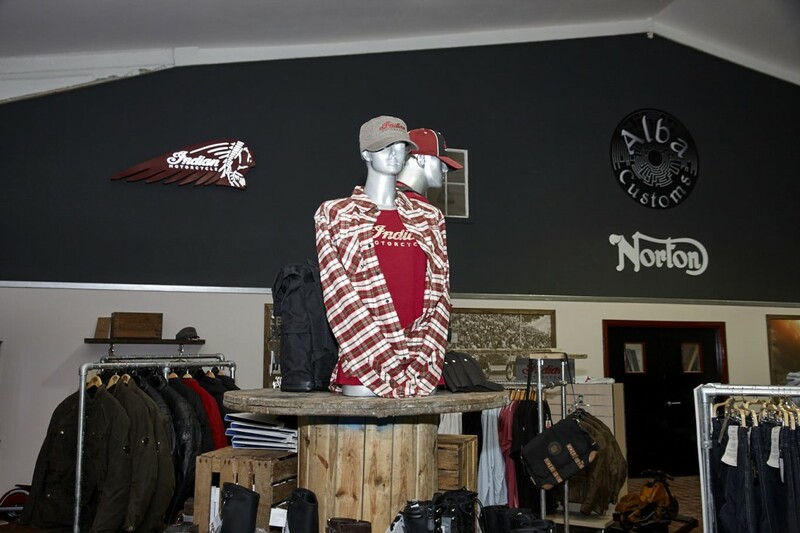 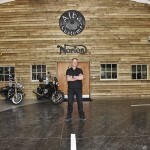 Whilst the old school feel Alba showroom will house their Indian and custom motorcycle experience, the original Saltire showroom will be home to all things edgy, sporty, adventure and entry level, serviced by their new Suzuki and Yamaha showrooms, and embellished by an array of quality used machines and a huge clothing department. 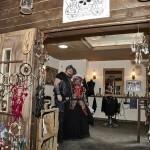 Each of these outlets have their own unique style and expression, giving lend to a real village feel. 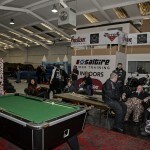 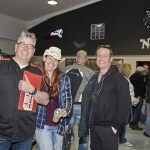 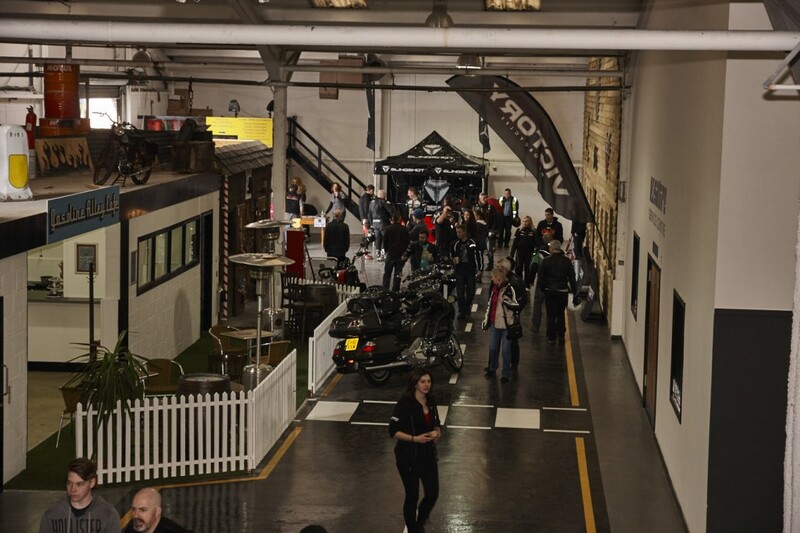 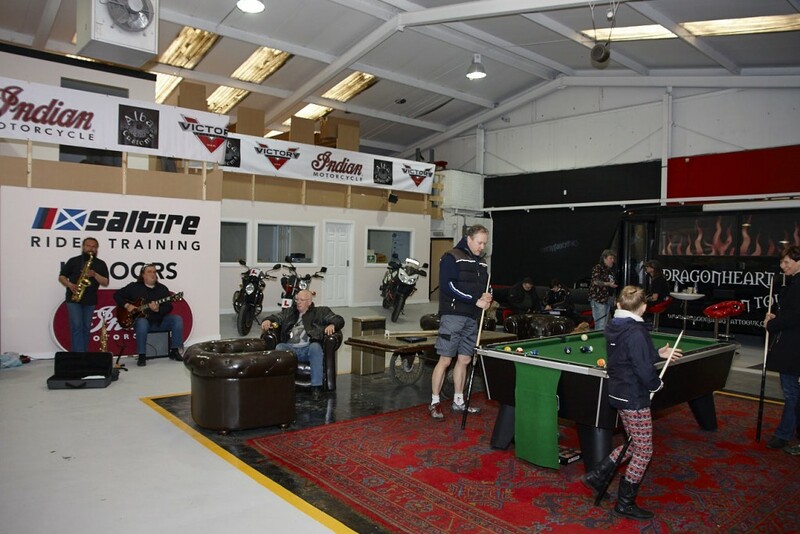 Couple this with the random seating areas, pool tables, club room and chill out zones, all set within the ambience that is created by the gentle hum of bikes riding around the indoor CBT yard (yes the CBT yard is indoors too) and you really can’t help but feel a sense of excitement in being part of the whole motorcycling scene in the UK today. 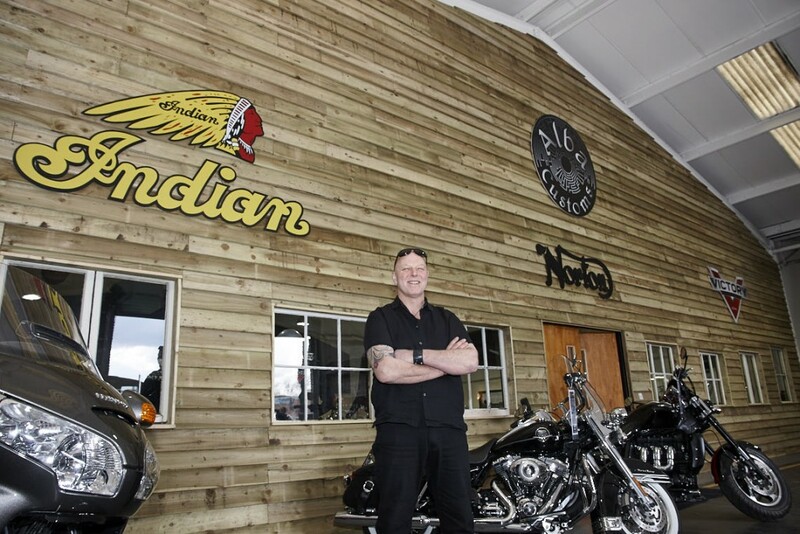 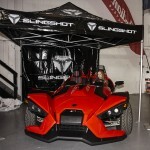 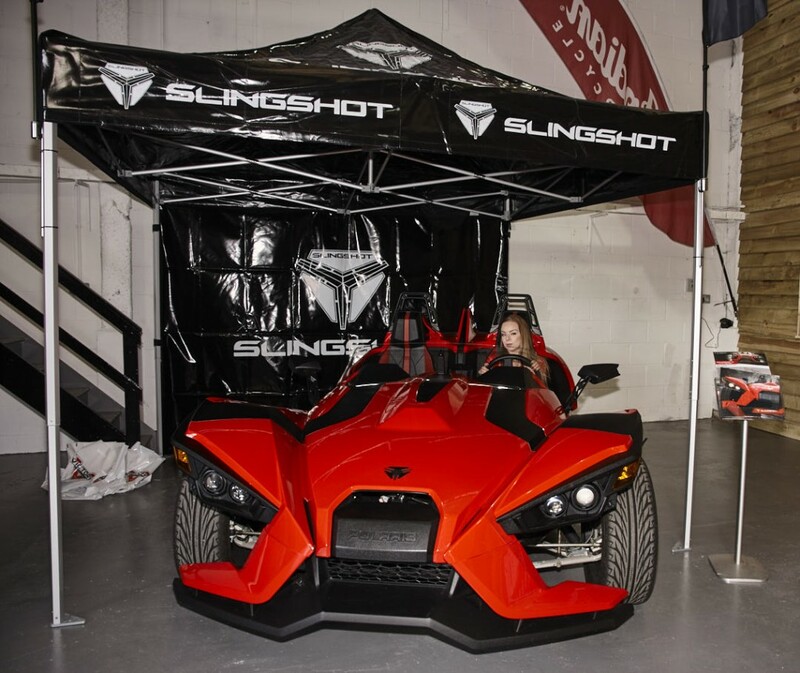 My feeling is that the industry is in a subtle hiatus, there are solid signs of financial recovery out there, but there’s still a lot of fear and hesitation too, both from customers and dealers alike. 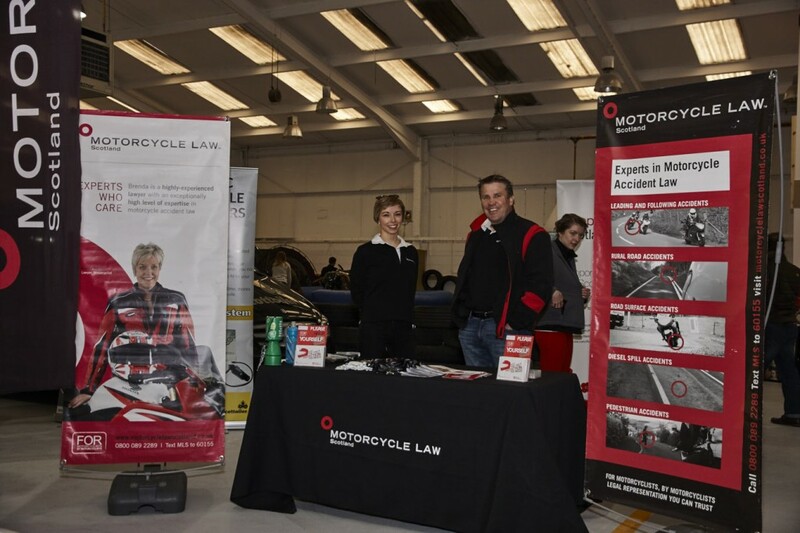 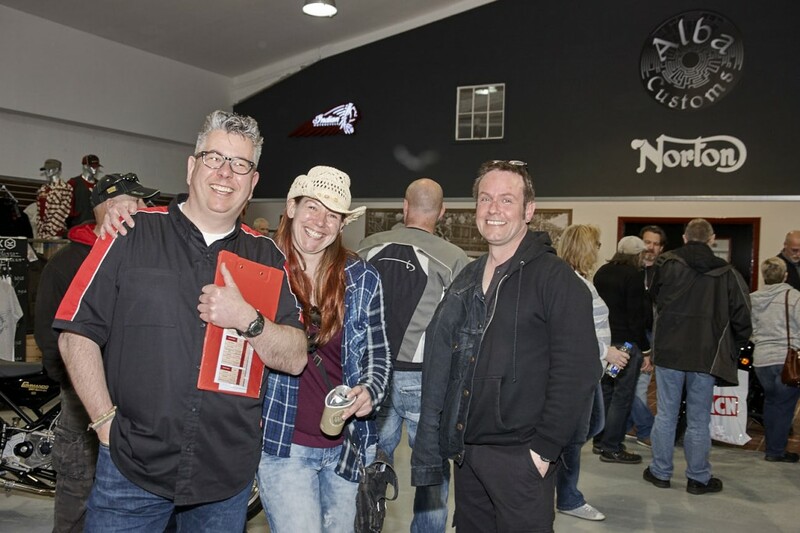 And never being one to sit on my hands waiting for things to change, I figured taking a bold step would inject fresh enthusiasm into the entire motorcycling community. 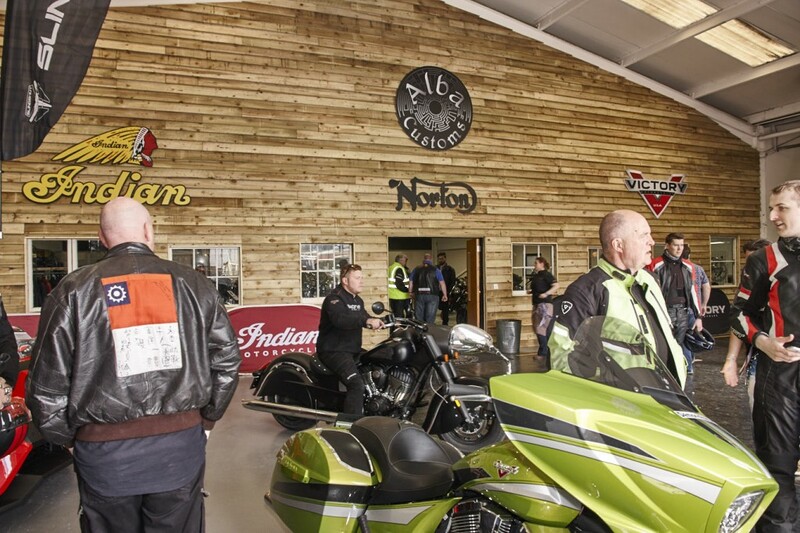 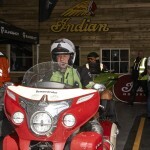 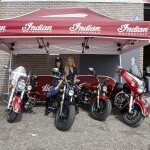 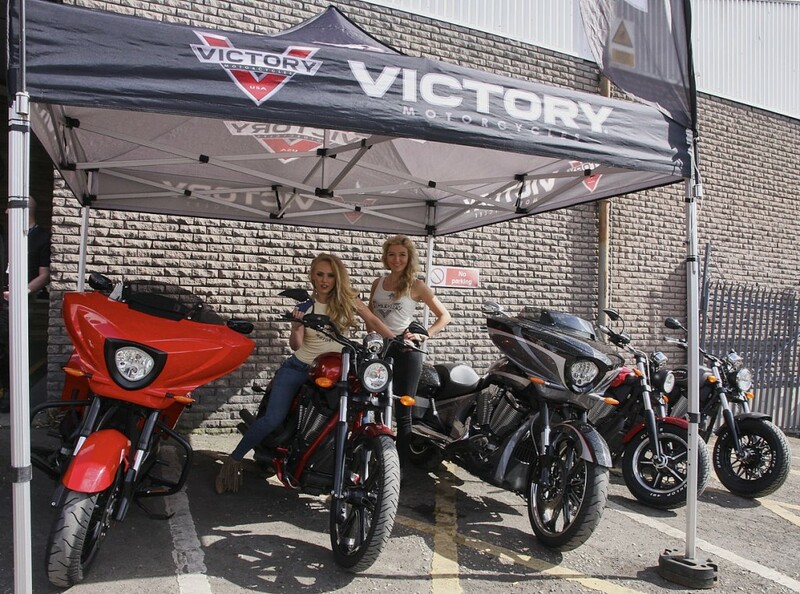 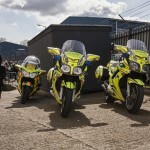 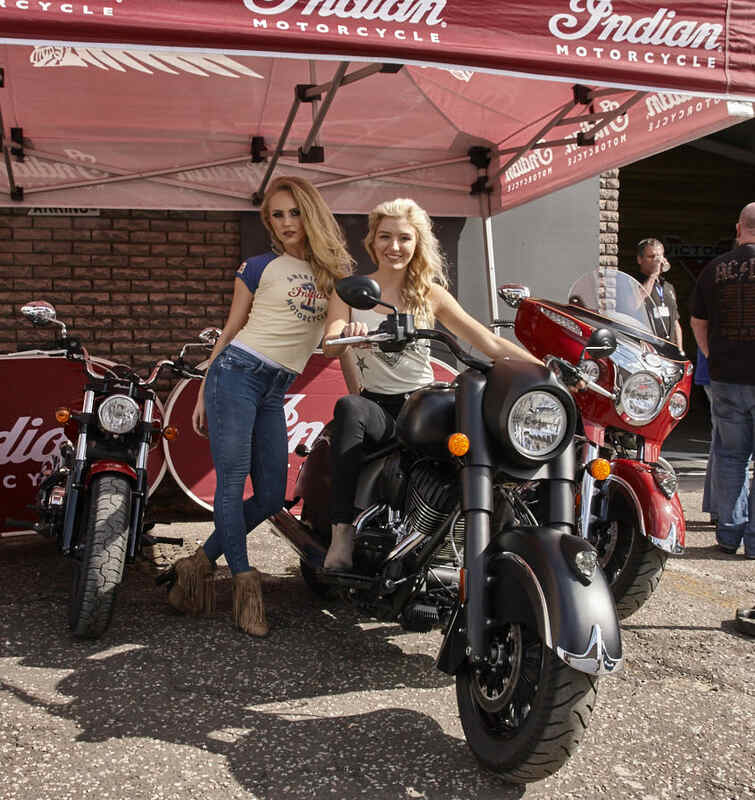 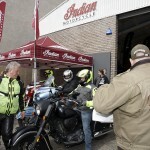 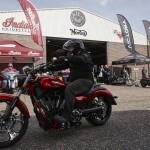 If we, the dealers, don’t create a reason for bikers to come, you can rest assured they won’t. 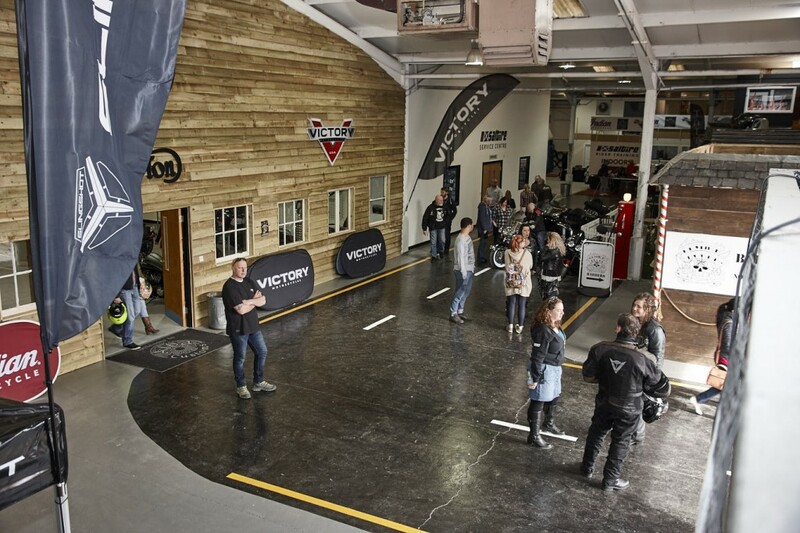 This industry has changed considerably over the last decade, as has our customer profile, consequently we must change too. 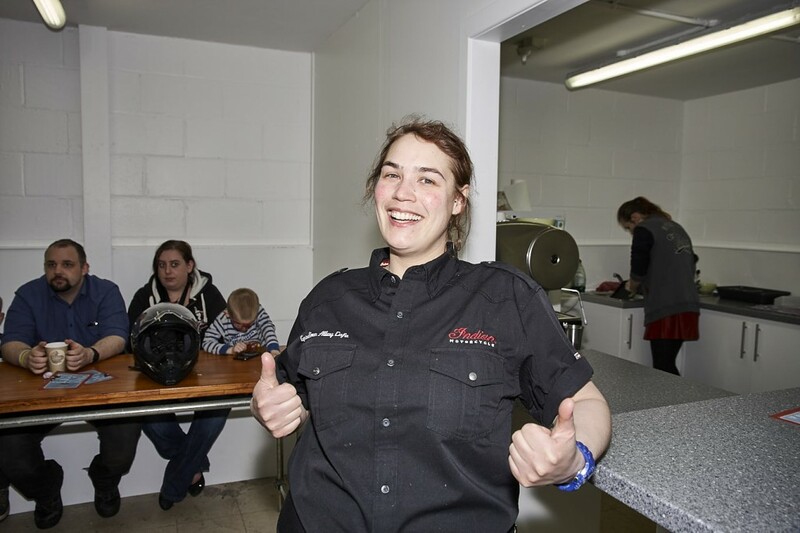 And it’s not only important that we change what we do, it’s important that we change how we do it. 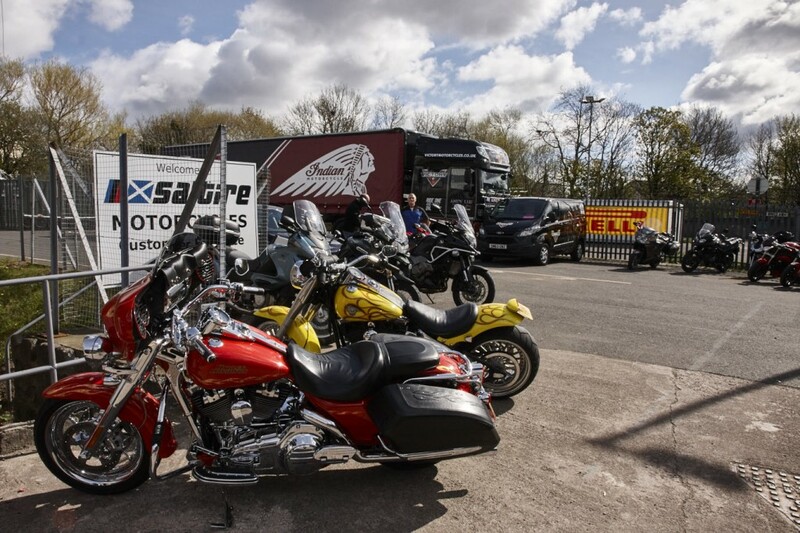 With the employee role now totalling 46 mouths to feed we would like to wish Saltire Motorcycles the very best of luck with this exciting new project. 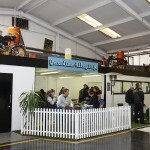 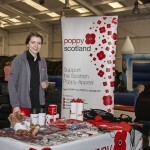 Please contact us if you require any of the photos at high quality.